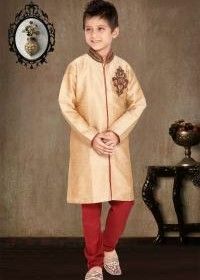 Homepage Men Sherwani What makes Sherwani the most Admirable Indian Wedding Attire for Men? 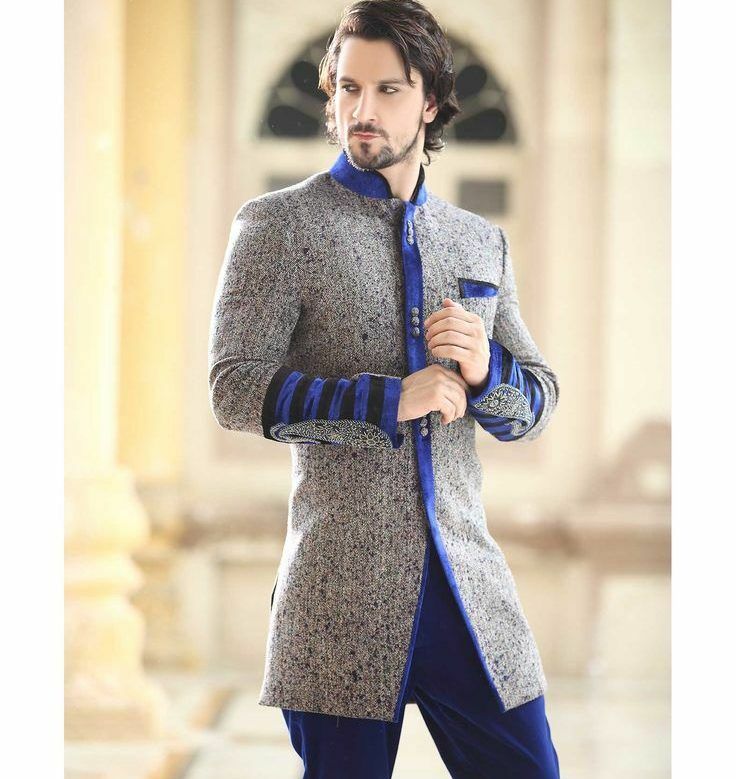 What makes Sherwani the most Admirable Indian Wedding Attire for Men? For decades, people have been opting for sherwanis as the perfect outfit for a wedding. While this has made enough sense that no one had to question the wardrobe choice, we have a few arguments of our own stating why we feel that sherwanis have become the most admirable Indian wedding attire for men. If you agree too, you can sport one at your wedding! 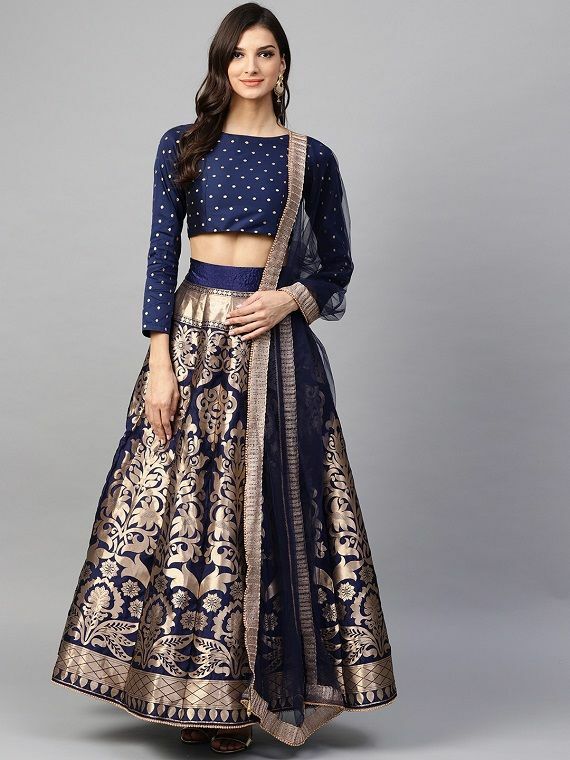 The origin of sherwanis itself points to the regality it was accustomed to when it first made an appearance in the early decades, worn by royalty. While the royalties are no more, you can certainly see a semblance of royalty in the outfits they wore due to the way it was designed and the way it perfectly drapes along the contours of the person wearing it to make for a perfect attire. If you want to make a royal appearance, a sherwanis should definitely be on your list of options. 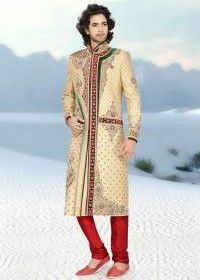 This is definitely one reason why sherwanis are famous among all of the other Indian outfits for men. The expertly cut outfit snugly fits any person wearing it, from the fitted look on the torso to the flare giving out from the waist below. 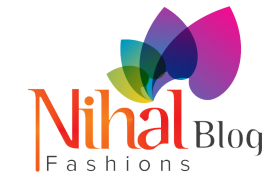 Depending on your choice and your fashion sense, you can choose from among various types of sherwanis to get your perfect look set up. Tuxedos have remained the most common sort of attire for men during weddings. What makes Indian weddings so different from the others is exactly this. 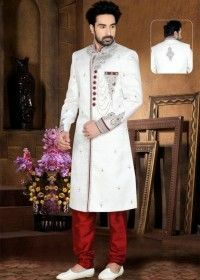 Sherwani has been the go-to outfit for Indian men everywhere, making them look something out of the ordinary. And it certainly has been well-appreciated throughout the world. 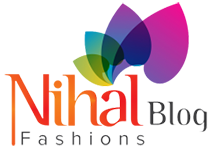 Apart from all of these reasons, you could just choose to wear an Indian outfit to flaunt your roots, or to stay comfortable throughout the event rather than having to carry your coat along everywhere. All in all, we definitely feel that choosing comfort over trend should be your goal.